Edgar Mittelholzer's ghost story, written in the old fashioned manner, still chills over sixty years after it was first published. With an extensive and loving introduction by Kenneth Ramchand, My Bones and My Flute is offered to a new generation of readers. Only when he is on board the steamer halfway to their remote destination up river in Guyana does Milton Woodsley realise that there is more to Henry Nevinson’s invitation to spend time with his family in their jungle cottage. Milton, an artist, thinks he has been invited to do some paintings for Nevinson, a rich businessman, and possibly be thrust into the company of their daughter, Jessie. But when the Nevinsons mention a flute player that no one else can hear, Woodsley begins to glean that there is more to their stay. Told in Woodsley’s sceptical, self-mocking and good-humoured voice, the tension rises as the cottagers’ sanity and lives are threatened by psychic manifestations whose source they must discover before it overwhelms them. Mittelholzer subtitled his 1955 novel “A Ghost Story in the Old-fashioned Manner”, and there is more than a hint of tongue-in-cheek in this thoroughly entertaining work, though it rises to a pitch of genuine terror and has serious things to say about the need to exorcise the crimes of slavery that still echo into the present in the relationship between the light-brown, upper-class Nevinsons and their black servant, Rayburn. Amongst the barks of baboons, rustles of hidden creatures in the remote Berbice forests, Mittelholzer creates a brilliantly atmospheric setting for his characters and their terrified discovery that this is not a place where they can be at home. 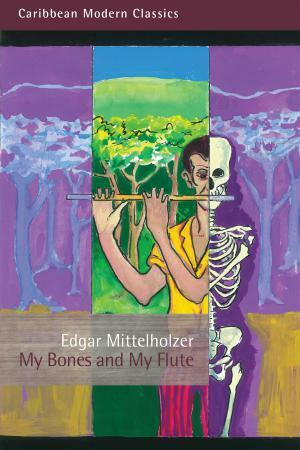 Edgar Mittelholzer was born in British Guiana in 1909. He began writing in 1929 and despite constant rejection letters persisted with his writing. In 1937 he self-published Creole Chips and sold it from door to door. By 1938 he had completed Corentyne Thunder, though it was not published until 1941 because of the intervention of the war. In 1941 he left Guyana for Trinidad where he served in the Trinidad Royal Volunteer Naval Reserve. In 1948 he left for England with the manuscript of A Morning at The Office, which was published in 1950. 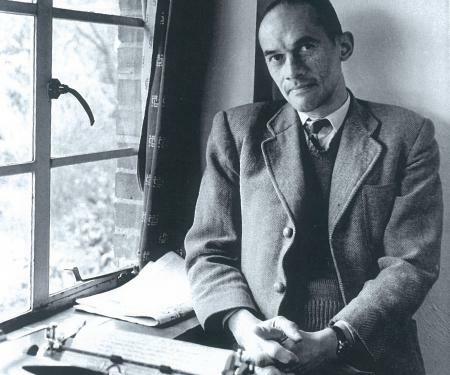 Between 1951 and 1965 he had published a further twenty-one novels and two works of non-fiction, including his autobiographical, A Swarthy Boy. Apart from three years in Barbados, he lived for the rest of his life in England. His first marriage ended in 1959 and he remarried in 1960. He died by his own hand in 1965, a suicide by fire predicted in several of his novels.